Julie Mitchell Newlands handles high stakes litigation. She has litigated on behalf of individuals and corporations in the federal and state courts of the District of Columbia, Maryland, and Virginia. Ms. Newlands specializes in representing individuals and their families in cases involving serious personal injury and medical negligence. She has obtained six, seven, and eight-figure verdicts and settlements for her clients. Ms. Newlands currently serves on the Executive Board of the Trial Lawyers Association of Metropolitan Washington, D.C.
Before joining Stein Mitchell Beato & Missner LLP, she practiced civil defense litigation at the firm of Miles & Stockbridge, P.C., then spent nearly five years as an Assistant Commonwealth's Attorney for Fairfax County, Virginia, where she prosecuted more than 350 criminal felony cases and handled thirty-five jury trials. She later practiced criminal defense litigation with Schertler & Onorato, LLP in Washington, D.C., before returning to the practice of civil litigation in 2007. Obtained multi-million dollar recovery on behalf of patient (and her family) who suffered serious worsening of her condition from negligent failure to diagnose breast cancer. 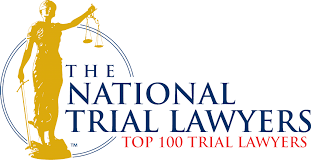 Assistant trial counsel for personal injury/product liability case resulting in eight-figure verdict. Successful representation of pedestrians struck by negligently operated vehicle. Successful representation of family whose daughter suffered wrongful death from doctor's negligent failure to diagnose and treat diabetic ketoacidosis. Successful representation of victims of automobile collisions. Obtained multi-million dollar recovery on behalf of patient (and his family) who suffered serious birth injuries from oxygen deprivation during his delivery. Obtained seven-figure recovery for patient who suffered leg amputation due to undiagnosed Ischemia. Successful representation of patients who suffered serious facial burn scars due to negligently performed cosmetic laser procedures. Successful representation of victim of drunk driving collision. Successful representation of victim of slip-and-fall on black ice due to improperly maintained residential apartment parking lot. President-Elect, Trial Lawyers Association of Metropolitan Washington, D.C.